Ring ring ring! It's uncle Sam and he wants YOU to buy this phone. 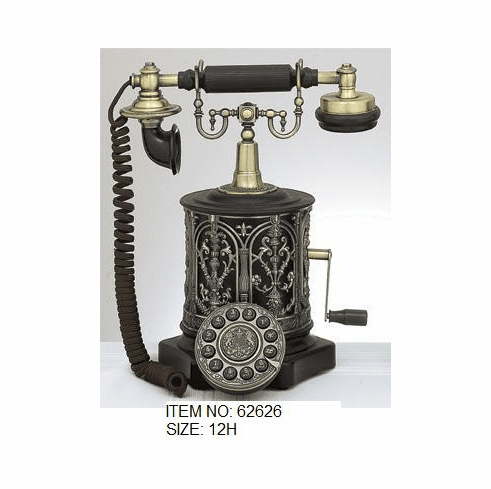 This beautiful ployresin antique art set is made with high quality decorative metal. It would go well with any theme or decor of your choice. It is a fully functional phone with buttons on the dial. This was made with quality and it had you in mind when it was made. You will not be disappointed with this or we will give you a full refund of the purchase price!